Now in Australia working as a Post-Doc in Western Sydney University. Martina's research interest focused on biomarker discovery for early detection of metastatic disease in uveal melanoma patients. Applying proteomic techniques to study secreted proteins from both primary ocular tissues as well as from cultured tumour cells. In addition, investigating the presence of circulating tumour cells in the peripheral blood of these patients. 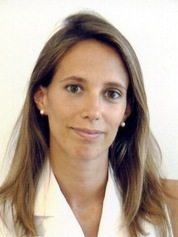 Martina is an Ophthalmologist, with strong interests in clinical research, mainly in the fields of ocular oncology, uveitis and vitreoretinal surgery. A visiting student from the University of Hong Kong, Hannah joined the LOORG in 2009 to investigate the molecular pathogenesis of ocular adnexal lymphoma, in particular the role epigenetic deregulation and bacterial infection in patient prognosis. Hannah returned to Hong Kong in 2011. Conducted studies into the genetic heterogeneity of uveal melanoma assessed by MLPA between 2007 and 2010, contributing to six publications. Twice winner of the abstract competition of the medical postgraduate students at the University of Liverpool (2008, 2009) and first poster prize for the Faculty of Life Sciences at the University Poster Day in in 2010. 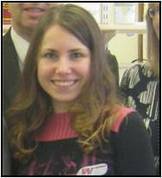 Justyna graduated in December 2010 and has since moved to London to study for an MSc degree in Bioinformatics and Theoretical Systems Biology at Imperial College London.